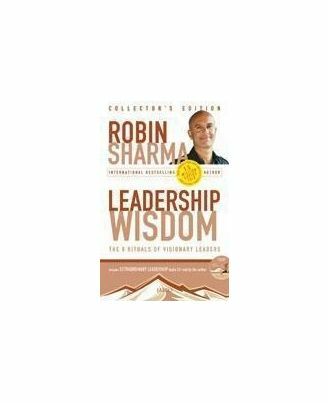 In this eagerly awaited sequel to the phenomenal national bestseller The Monk Who Sold His Ferrari, leadership guru and renowned professional speaker Robin Sharma shares a remarkable step-by-step system that will restore trust, commitment and spirit within your organization while transforming the way you lead your life. In a constantly changing, hyper-competitive world leadership is more important than ever. Yet few people have what it takes to inspire, develop and guide others. 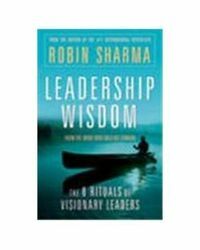 On this CD Robin shares the leadership lessons that he gives to such clients as Nike, Microsoft and NASA. 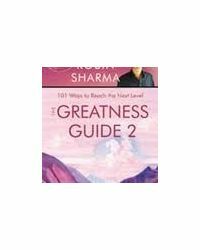 In this eagerly awaited sequel to the phenomenal national bestseller The Monk Who Sold His Ferrari, leadership guru and renowned professional speaker Robin Sharma shares a remarkable step-by-step system that will restore trust, commitment and spirit within your organization while transforming the way you lead your life. In a constantly changing, hyper-competitive world leadership is more important than ever. Yet few people have what it takes to inspire, develop and guide others. On this CD Robin shares the leadership lessons that he gives to such clients as Nike, Microsoft and NASA.